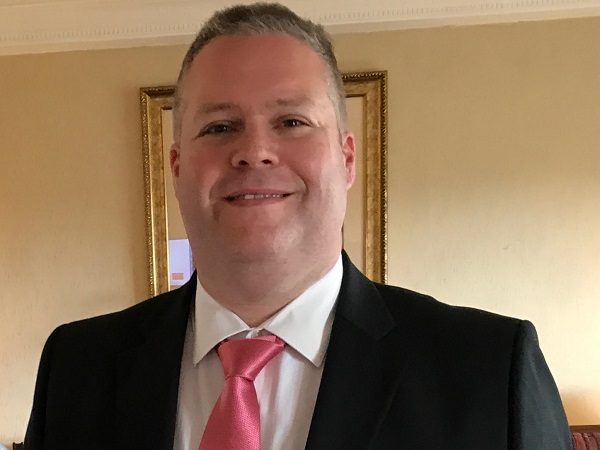 Steve Felder, Managing Director, Maersk Line (India, Sri Lanka, Bangladesh, Nepal, Maldives and Bhutan) sheds light on various nuances of cold chain logistics and reefer business while interacting with Cooling India. What are the trends in end-to-end cold chain logistics in India? 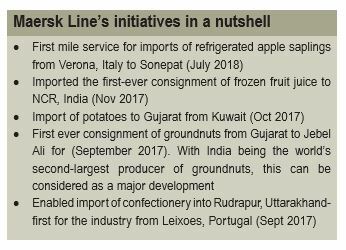 According to the recent industry survey for India, which we at Maersk have conducted, the demand for refrigerated products has been growing at a rate of 18 per cent over the last couple of years. It is expected to grow to around 19 per cent during 2017-2022. The top commodities that are driving reefer exports from India are fruits, vegetables, meat and fish. There is also a growing demand globally for pharmaceuticals from India. Fruit and vegetables are the largest commodities in terms of volumes and it requires some very specific needs in terms of sorting, grading, processing and packing. It is also crucial for domestic market and for EX-IM. Per capita availability in the country of fruits and vegetables is low as post-harvest losses are high and wastage is in the range of 25 per cent – 30 per cent approximately across India. These specific data tells the story of huge post-harvest losses due to lack of cold-chain infrastructure. The government has taken cognizance of this aspect and last year 101 new integrated cold chain projects with a total investment of `3,100 crore were announced. In October last year, the Chhattisgarh Government commenced the process for design and engineering development of Multi Commodity Cold Storage Chambers for Horticulture produce across key districts. They also announced a Post-Harvest Management to establish a network of cold storages and pack houses to prevent the damage of perishable commodities like fruits, vegetables and flowers in the entire state. This augurs well for the industry to ensure there is no wastage due to unavailability Steve Felder, Managing Director, Maersk Line (India, Sri Lanka, Bangladesh, Nepal, Maldives and Bhutan) sheds light on various nuances of cold chain logistics and reefer business while interacting with Cooling India of cold chain infrastructure. At Maersk Line, we have been at the forefront of cold chain technology, deploying it across the world. We are on the right path in regards to the policy when it comes to end-to-end cold chain logistics in India. As a company, we will continue to bring innovative solutions such as remote container management where you can monitor the temperature throughout the journey, store-door and end-to-end solutions to enable customers hassle free logistics experience. What are the growth drivers? Cold chain in layman’s terms is defined as a controlled environment in the supply chain which ensures uninterrupted care from source-to-the end user. The government’s push with the recent investment announcements for the shipping and logistics sector and focus on integrated supply chain policies has added the much-needed momentum. One of the growth drivers for the industry is organised retail. India has occupied a remarkable position in global retail rankings; the country has high market potential, low economic risk and moderate political risk. Increase in income and the growing middle class is expected to change consumption pattern. India is expected to become the world’s third-largest consumer economy, reaching US$ 400 billion in consumption by 2025, according to a study by Boston Consulting Group. Horticulture production and contract farming are experiencing growth. Pharma has small volumes but high margins; industry has been growing at high rates, with exports growing faster than domestic consumptions. Government initiatives facilitate growth and investment in cold chain services. Exports are increasing in several frozen commodities such as meat and seafood. Seafood production is concentrated in a few southern states, with 11per cent of production destined to export. Having said that, a large part of fish for domestic consumption does not go through a traditional cold chain as it is consumed in proximity to the fishing location and transported in trucks with ice. While bulk cold storage is focused in a few states producing long shelf life product, EX-IM cold storages are concentrated around the major exporting ports. Therefore, there is a large capacity gap across the country, presenting tremendous opportunities for players with innovative technology and capability. Please take us through your reefer business program. With the growing reefer industry in India, Maersk is well ahead in understanding and offering cold specialized services and is currently catering for the Indian growing market demand. The last few quarters have been quite interesting. One can say that the last few months have seen quite a few milestones for us in serving customers in India. At the end of the day, we provide service to customers based on their requirements. How has the reefer business evolved over the years in India? As I mentioned before the government has taken into account the importance of cold chain logistics in India to add to the overall economic growth. Reduction of wastage, improved profitability, capacity expansions, investments, support to industry verticals such as fruits or vegetables or seafood etc augurs well for the industry. The current cold storage infrastructure in India is still at nascent stage and we see some challenges. Most storages built in the past focused on edging seasonality for a single commodity, thus creating an overcapacity in individual commodity in specific locations and capacity gap for modern multi-product storages for perishable goods. The technology being used to provide cold chain solutions are sub-par. Having said that, advanced technologies are being introduced slowly but steadily in India’s cold chain storage infrastructure. What are the USPs of your Reefer services? Having pioneered refrigerated transport since 1936, we have the knowledge, equipment and expertise to streamline logistics and supply chain with optimal refrigerated transport solutions. Our expertise in store door and remote-controlled environments helps service industry verticals such as fruits, vegetables, bananas, fish, seafood, meat or pharmaceuticals. We have dedicated reefer specialities, boxed goods from origin to destination, to ensure goods arrive in high quality and safe conditions. As a global player, we offer industry leading end-to-end solutions in logistics, A.P Moller – Maersk is well positioned to be able to cater to this growing market demand. For years our customers requested container tracking. Remote Container Management (RCM) is Maersk Line’s response. It gives the customers unprecedented visibility into their supply chains, offering real time data about the state of their cargo. The data forms an asset for our customers to understand and work out ways to optimise their supply chains. We have been looking at various kinds of investments to address these emerging needs. For example, APM Terminals recently opened a state-of-the-art cold chain facility in Chennai, which helps with the transportation and storage of goods such as fish, food, and medicines. This is the first investment we have made in Chennai, and we are constantly evaluating the opportunities that exist in India. What is that one trend impacting the cold chain industry in India? According to our studies, cold storage segment in India is fragmented at present. There is an urgent need for multicommodity EX-IM and distribution storages to be set up across strategic regions to add momentum to trade. As I have mentioned earlier, the government’s proactive approach to this sector in general will have positive impact in the days to come. We are at the cusp of growth momentum in cold chain logistics in India and we are excited about the upcoming future. What is your outlook for this industry? As per a recent industry report the Indian Cold chain market is expected to reach ` 470 billion by 2020. This presents a huge potential for market expansion and growth. The current growth in the market is very respectable with containerised market growing at 8 per cent to 10 per cent YoY. The recent relaxation of the cabotage restrictions will only foster competition amongst Indian ports and expand the market. The other major opportunity which I envisage is in the overall supply chain as customers are moving to offload larger chunks of their supply logistics to us. Thus, this opportunity to provide more End-to-End services to them and enable trade. As I mentioned earlier, we are committed to India’s growth story and we will continue to bring our innovation integrated logistical solutions for our customers to enable trade. Trade contributes to prosperity and development, globally and locally, and facilitating trade is our business.